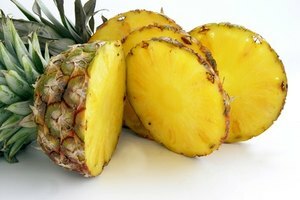 While the difference between juice and concentrate is a simple one, the two forms of pineapple vary considerably when it comes to creating the desired consistency in a baked good or a main course. From a health perspective, each has benefits and drawbacks. 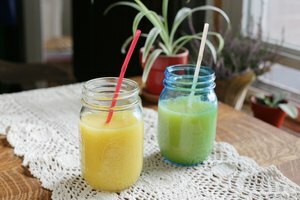 Understanding the difference between pineapple concentrate and pineapple juice can help you make the appropriate selection whenever you are cooking with any kind of fruit juice. Pineapple juice is made by squeezing its flesh to extract the juice. 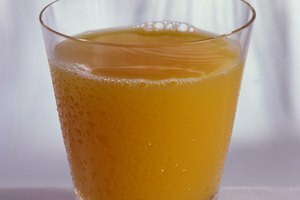 Store-bought juice is mass produced using machines that efficiently peel and core the pineapples, draining the juice into a large container. At this point, the juice either is pasteurized -- a process of removing disease-causing microbes by heating the juice to give it a longer shelf life -- or bottled as is. Concentrated pineapple juice is made using a process called reverse osmosis: the freshly squeezed juice is heated, causing most of the water to evaporate and leaving behind only the pineapple-tasting contents. This pineapple concentrate is packaged, frozen and shipped. 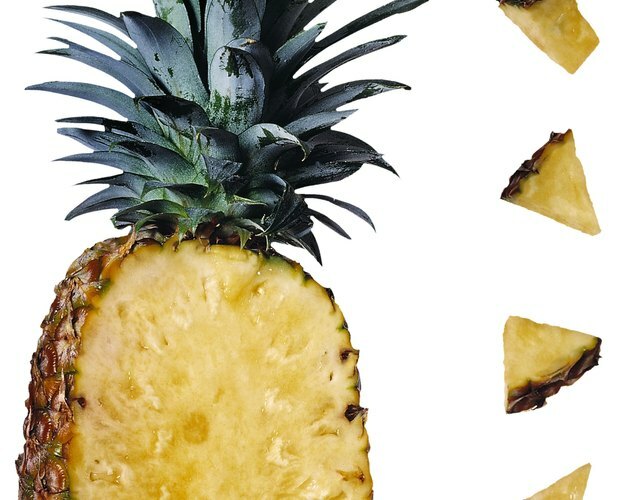 So pineapple concentrate contains far less water than pineapple juice, as well as more nutrients than the same quantity of juice. The purpose behind juice concentrate is to allow manufacturers to reduce waste and extend the life of each pineapple they harvest. Contrary to popular belief, pineapple concentrate is not inherently less healthy than pineapple juice. 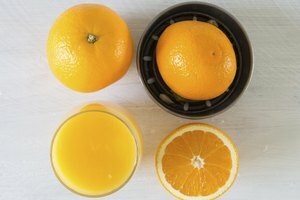 Many store-bought juices contain additives for color and flavor, which are less healthy than squeezing a pineapple at home and drinking the fresh juice. Concentrate does not have as many additives as commercial juice, since it is simply a way of extending fruit's shelf life and is usually diluted with something else for drinking. However, pineapple concentrate is more caloric than the same quantity of pineapple juice, because it contains mostly nutrients and sugars and little water. A recipe should specify whether you need juice or concentrate. If you are not following a recipe, consider whether you want to use something with a higher water content, like pineapple juice, or with more essential pineapple flavor, like pineapple concentrate. Examples of dishes that use pineapple concentrate are baked goods such as pineapple upside-down cake, punch, cocktails and glazed meats. Use pineapple juice to make sorbet, chutneys for fish or icing for cookies. Dilute pineapple concentrate with water to make pineapple juice. BS Health: How Can 100% Juice Be From Concentrate?